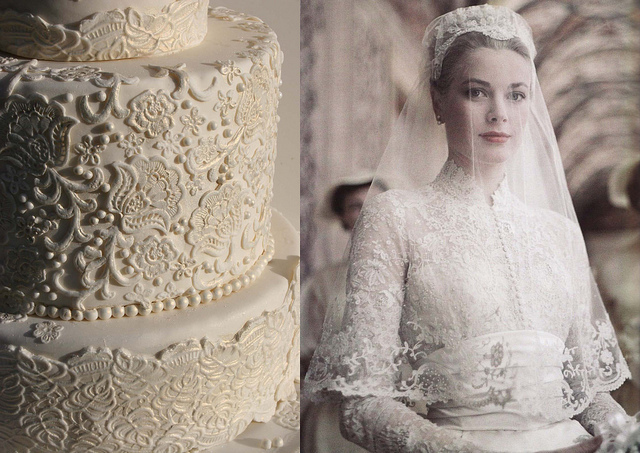 Wedding cake trends change just like bridal fashion couture changes. From elegant simplicity to wild whimsical colors, today’s wedding cake captures the personalities of the bride and groom, suits the season, fits the formality and delights wedding guests as a centerpiece of the reception décor. Put simply, the wedding cake has evolved from an intricate dinner dessert into a center stage wedding reception spectacle. 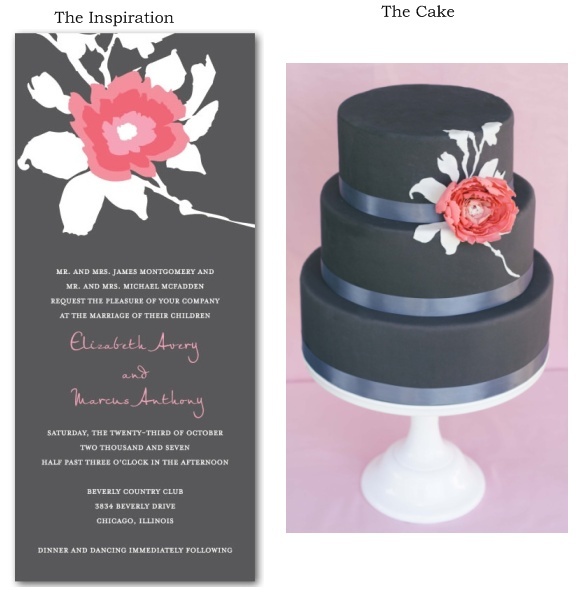 Here are some of my favorite top trends for wedding cakes in 2012. 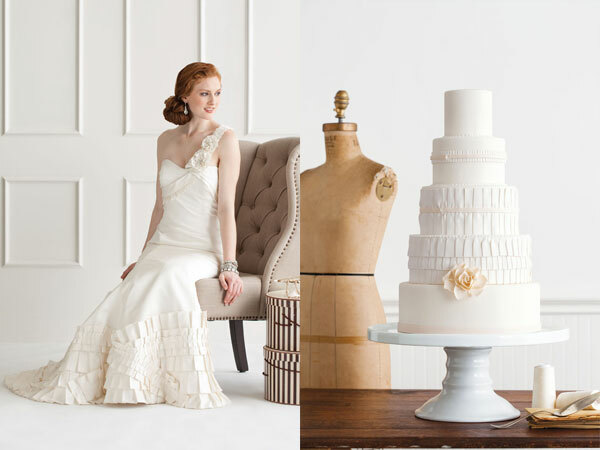 Fashion is a constant source of inspiration for cake designs as they were very much designed to look like wedding couture, with layers and folds of fondant to look like wedding dress fabric, and sparkling accents to mimic the crystals or rhinestones on the bride’s dress. 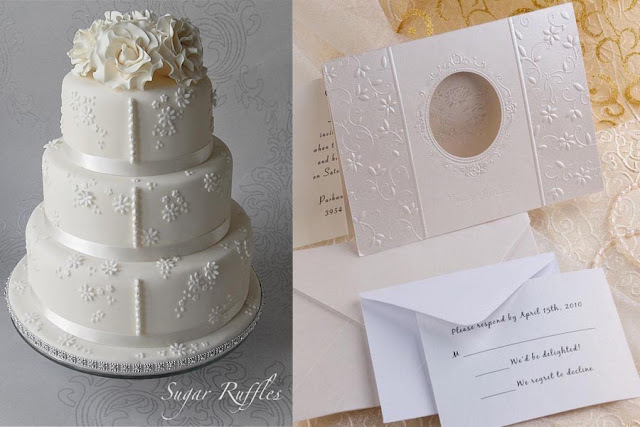 Cakes are also taking their inspiration from the wedding invitation, namely the layers of textured paper, vellums, fabrics, pearlized borders and the colors the bride and groom have chosen in their wedding invitation design. 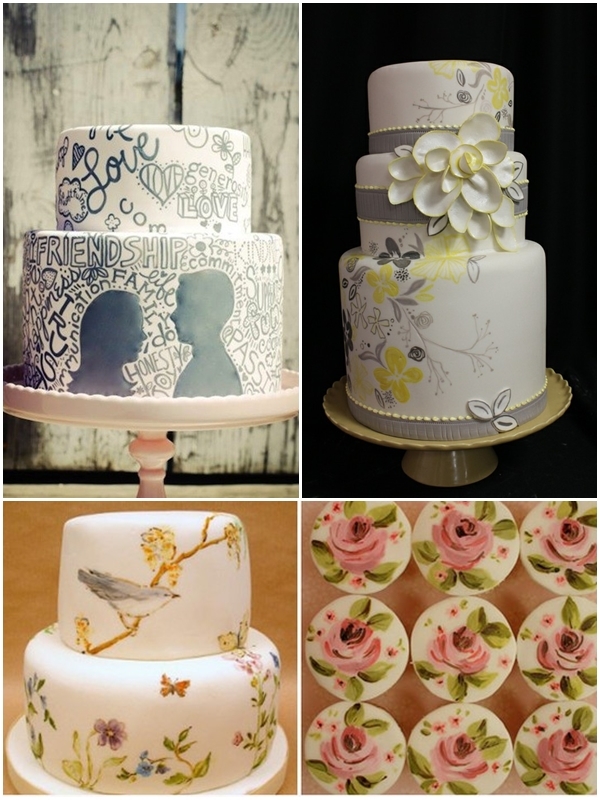 Hand-painted designs are a way to turn a wedding cake into nothing less than an edible canvas. Inspiration can be anything from Royal Empress China patterns to a lovely tropical flower bouquet. 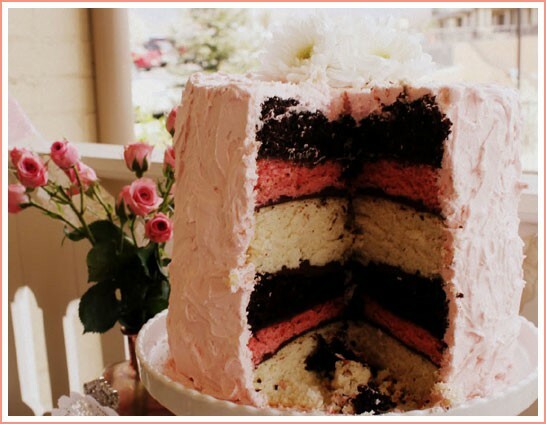 Just remember when you paint on a cake your canvas is fondant, so be prepared for a higher budget for your cake. Many couples are opting for bright colors over more traditional muted palettes. Whether the color comes from ombré detailing or the arrangement of sugar flowers, the key is to not be shy and let your true (bold) colors show. Have fresh flowers that match the theme of your wedding flowers with your cake. 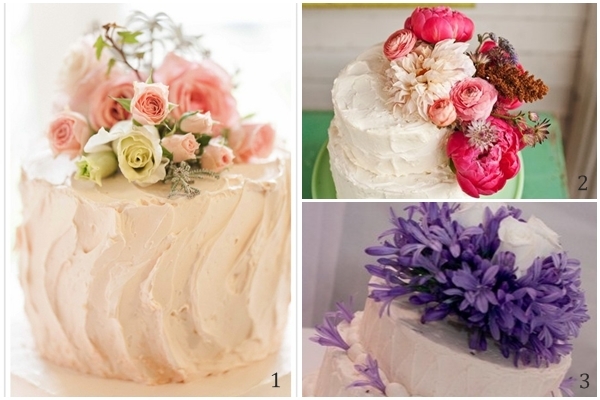 Choose seasonal flowers which are cheaper than having hand-made fondant to match the theme. 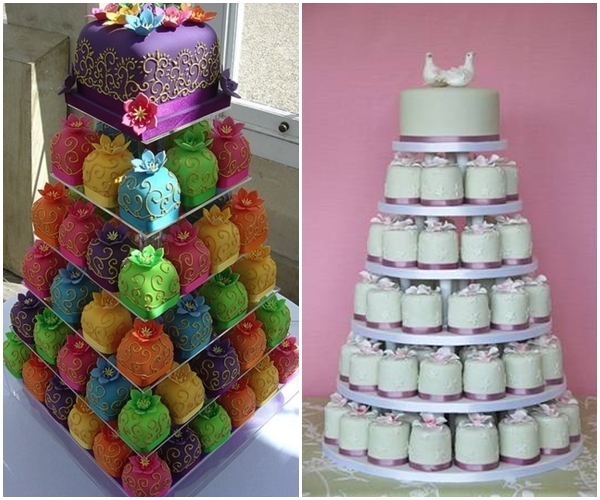 Whether they’re real or fashioned from fondant, sugar paste or marzipan, flowers remain a popular wedding cake accent. In 2012, wedding cakes will be decorated with more magnolias, peonies, tulips, ranunculus and especially blue orchids, while last year’s roses and daisies fade back a bit. Let your groom put his own personality to a cake. This is trend has been coming back with grooms choosing their football team, favorite band or just the flavors that they like. 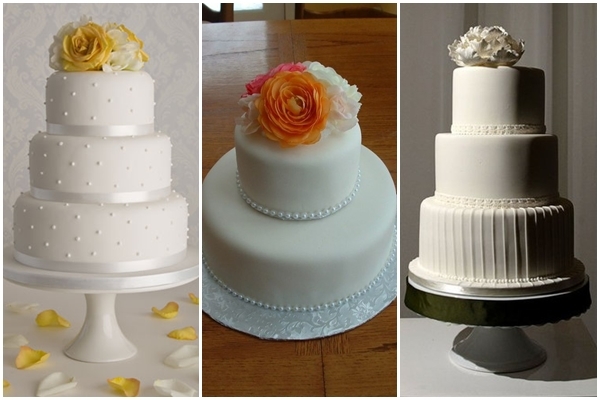 Why choose just one wedding cake? 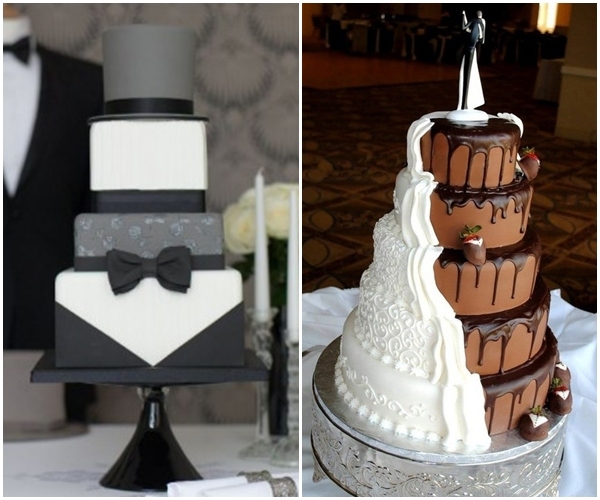 A big trend for 2012 is to select one main wedding cake design for your cake-cutting ritual at your wedding reception, and then place that cake on a buffet table filled with an array of different, smaller wedding cakes in coordinating colors, but different flavors and fillings. Couples are opting for more complex flavor combinations like vanilla and sour cream cake with peach apricot and milk chocolate Earl Grey buttercream. The royal wedding of Prince William and Kate Middleton put everything regal back on the map for wedding trends in 2012. 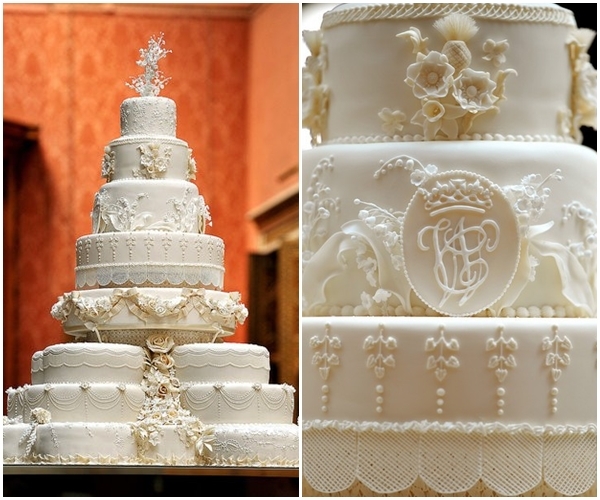 Opulent designs with lots of piped white icing rosettes, ‘drapes,’ and painstaking lacy details give a sophisticated edge to a royal wedding cake look, whether it’s a modern-day royal wedding design or a lacey, finely-detailed wedding cake from Marie Antoinette’s era. 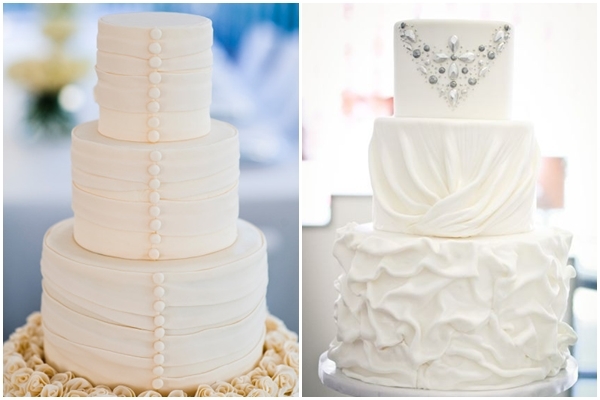 A wedding cake frosted in smooth layers, looking like wrapped boxes and very minimally accented with cut-out sugar paste or piped-on icing pearls is a very big wedding cake trend for 2012. Budget weddings often call for less ornate wedding details, but this style of wedding cake looks more expensive than it is. 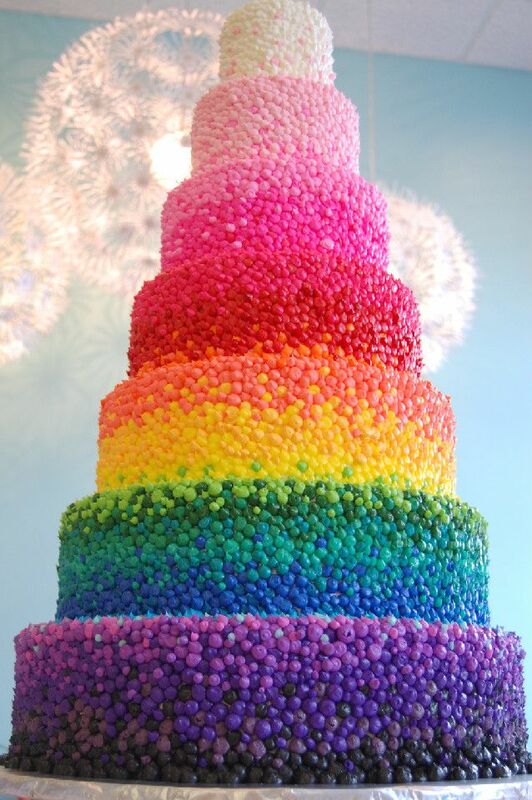 In a single, solid color, this cake wows wedding guests for being a stunningly simple work of art. Wow! Those wedding cakes are really jaw dropping. Love it! thumbs up for sharing this post to us.